For the first time ever, on Tuesday, Feb. 18, and Wednesday, Feb.19, eight top-rated local DJs battled it out at University of California, Santa Barbara’s The Hub to see who would win a slot at this year’s Extravaganza. The eight DJs were selected by the Associated Students Program Board after over 20 hopefuls submitted samples of their work. With music ranging from trance, experimental, and house, to trap, the eight DJs were Kuro, Betawave, Angorola, Psychojohn, DJanet Napolitano, T-Fresh, Underbelly, and Dropwise. After a grueling competition on Tuesday night, only four DJs remained for Wednesday’s final round. Competing in the semi-finals were Betawave against Angarola and T-Fresh against Dropwise–and the competition was fierce. The energy was great in The Hub, and the amount of practice that went into the sets the DJs played was evident. “It exposes [the DJs] very well,” said Crystal Marquez, a first-year undeclared major. She, along with most other audience members, enjoyed the talent. At the conclusion of the semi-finals, Angarola and T-Fresh were the last remaining DJs left to duke it out on the stage. “Mixing ability, song selection, originality, energy, and audience response” were the main judging criteria, according to the official AS Program Board rules. The bracket style competition was broken up in such a way that the highest ranked DJs were in separate brackets in order to create a fair competition. Each performer had 15 minutes to display their talent. The DJs all certainly executed these qualities with their unexpected song choices and the incredible stamina required to move to and deliver beats. The relatively small crowd grew larger as the event continued, and the audience members in front of the stage filled the floor with dancing. Marl Ayson, a fourth-year biopsychology major whose favorite DJ was T-Fresh, was one such dancing student. The night ended after a hard-fought battle between Angarola and T-Fresh. T-Fresh walked away the winner, guaranteeing himself a spot at UCSB’s Extravaganza, which occurs every spring quarter. T-Fresh, whose real name is Tyler Fish, plays many shows in Isla Vista and the surrounding campus area. 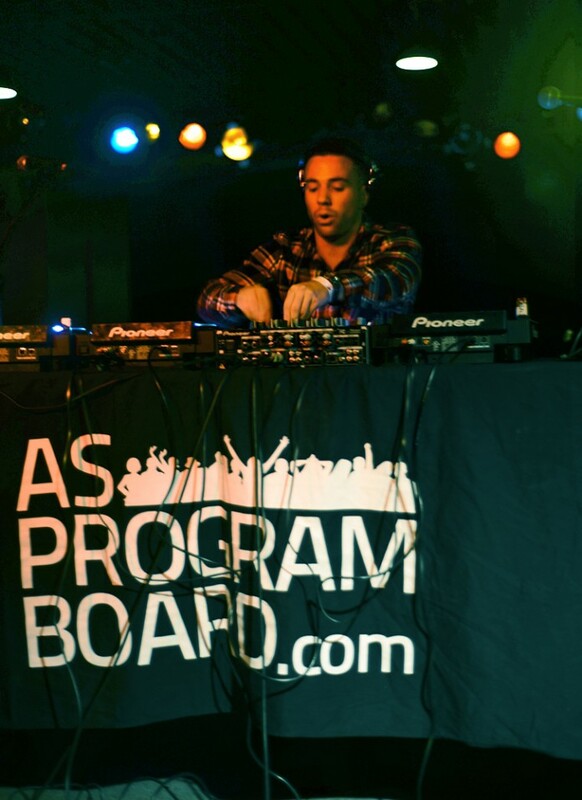 The fourth-year communication major is a popular local DJ, as was evidenced by his success in the competition. While the audience was stoked on the announcement of T-Fresh as the winner, it was nothing compared to how Fish himself felt when he realized he would be playing Extravaganza. The up-and-coming DJ will get the chance to perform in front of a large audience of his peers alongside headliner artists, gaining both experience and exposure.